By now, you are hopefully neck deep in Noctis’ adventure and hours into your digital road trip. Final Fantasy XV is available now around the world, and if you’re a fan of the series, new or old, the time has come to profess that love on the PlayStation 4 and Xbox One. However, we all need a break here and there, and if you have a minute or two, why not look at where this game got its humble beginnings nearly ten years ago? Back in 2006, following an impressive showing at E3 and Tokyo Game Show, Final Fantasy XV was originally called Final Fantasy XIII Versus, a spin-off entry in Square Enix’s grand Nova Crystallis Fabula Final Fantasy XIII campaign. The company gambled big on the success of Final Fantasy XIII, and the game dominated the company’s release schedule for the next half decade. And here we are, in 2016, twice as far from that announcement as anyone imagined on that day, finally closing the window on Square Enix’s blockbuster reveal by playing Final Fantasy XIII Versus. This really feels like a chance to turn the page on Square Enix’s rocky entry into HD. But what has changed from 2006 besides the title? Watching this original reveal trailer, I forgot how much the vision has changed over the years. Noctis is still a prince, clad in black leather and rocking a haircut that would make Cloud Strife himself blush in insecurity. The action in this trailer might go a little overboard with the flips and kicks, but one technique that made it into the final game is Noctis’ teleportation ability, the one where hurls a sword into an enemy or a distant safe zone and warps there quicker than sight. The massive city of Insomnia, the capital of the kingdom of Lucis, has survived all these years, but the gothic influence on its modern buildings is more pronounced nowadays. We never get to see the other four main characters: Noctis’ entourage and their slick ride. Insomnia lives up to its namesake with this trailer taking place entirely at night, and over the last ten years, Square Enix really toned down the violence. 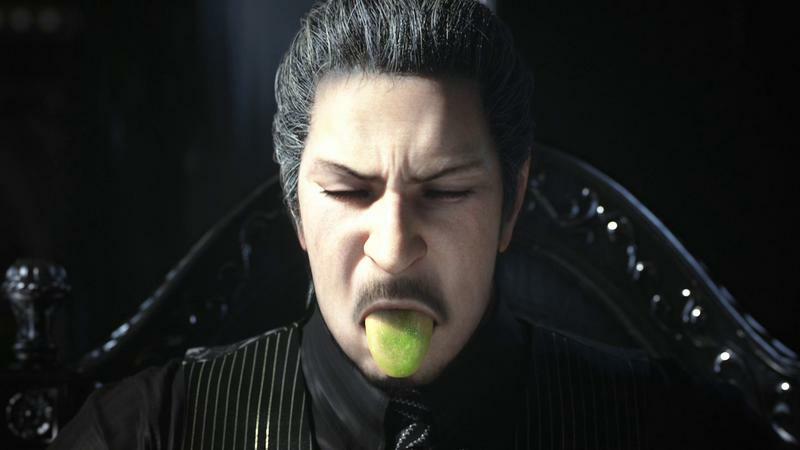 You don’t see much of the blood splatters anymore in Final Fantasy XV’s hype reels, nor do you really see it in other games from the franchise. And let me say, Square Enix did an excellent job remaking Noctis’ character model. Of all the changes, this has to be the most pronounced and most important. Those who criticize his looks and getup these days might not realize how far the character has come over the last ten years. It was only a first look at the game, but the hints of how it ended up are definitely seeded in this reveal trailer. Another trailer popped up for Final Fantasy XIII Versus in 2008. This trailer starts off very similarly to the reveal trailer with Noctis kicking the tar out of a group of enemy soldiers. If you were to watch just the first two minutes of this trailer, you walk away with the same cold feeling of the reveal, wondering if there was a shred of humanity in this game. And then it happens. Our stone-faced protagonist stumbles across three dudes who are clearly his friends, the same three that accompany him around Final Fantasy XV’s world, only much younger. Prompto turns up first, recognizable by his pistols and blonde hair, and dare I say, this is the only change I wish hadn’t happened. The original Prompto came off as a bit more chill with his shaggy hair and didn’t rock the punk look. Gladiolus appears second, still the muscle of the gang despite being a few years younger, and Ignis is very clearly still the brains. At the 2:40 mark, we see the car for the first time tearing down a desert road. The most obvious differences here are that it is not a convertible, and Final Fantasy XV’s distinct geology is nowhere to be found. And 4:00 minutes in, we see… the girl: Stella Nox Fleuret. She is the largest victim of the switch to Final Fantasy XV in that she doesn’t even appear in the final game. Director Hajime Tabata danced around her fate for quite some time before finally confirming that she was left on the cutting floor in favor of Final Fantasy XV’s other leading ladies, Lunafreya, Cindy, and Areana Highwind. Traces of this character raise their heads in all three of these characters, meaning that while Stella is not in the game, her influence clearly is. 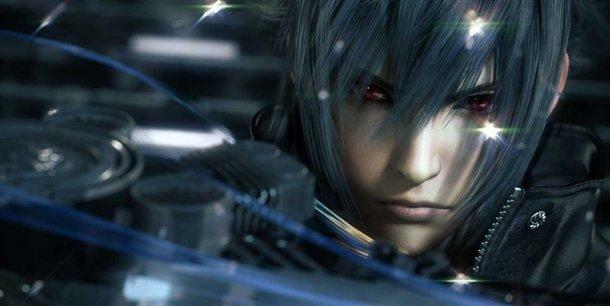 Final Fantasy Versus XIII made another appearance in 2011 before it completely fell off the map. The opening intro provides a deeper look into Noctis, and he is clearly annoyed with the boring state of his life and his world. The real star of this trailer though is the gameplay and the graphic engine, which we finally see for an extended amount of time. Final Fantasy XV’s unique battle system is seen in its infancy for the first time here, but let’s not kid around. It looks like a PlayStation 3 game, and we can’t help but feel grateful this game took a further five years to develop for a more powerful console. Likewise, the world is flat and the battles are a bit less exciting. At least Square Enix gives us a look into the open-world design for the first time here with Noctis wandering and battling through random parts of the map. A lot of the action also takes place in a major city, and this is the first we see of the giant Behemoth that shows up often in the rest of the trailers. Aranea Highwind also springs up deep into the running time, and this was the only time we really got to see her before she was revealed again in Final Fantasy XV. The last we saw of Final Fantasy XIII Versus was this infamous bit of marketing from E3 2013. Square Enix rebranded it as Final Fantasy XV the previous year, but the same marketing mistakes still plagued it. It might have changed its console and its name, but it had not yet changed its spirit. Oh boy. Anyway, it became clear here that Square Enix was clearly losing touch with its audience and the vision it needed to put out. The gaudy visuals and fake particle effects dominated the marketing for too long, and the desire to be “cool” clearly trumped the push to make the game fun. The lack of humanity, the confined scope hiding in its the open-world, the focus on micro details of a tongue rather than the big adventure itself. Someone behind the scenes was clearly being pretentious in their approach, and the marketing team forgot to explain to people that it actually was a video game! Seven years into development and nobody had any idea what this game was! Luckily, this trailer also popped up at E3 2013 and finally provided the first real look into the nature of the game. The Behemoth shows up right away, and we get to see Prompto’s new look. The setting really starts to resemble the final product we’re playing right now! Wow, good show Square Enix! You did it! It took seven years, but I finally understand what I’m looking at! I won’t spend too much time on this trailer since we are clearly in Final Fantasy XV territory now. However, the comparison between Tabata’s approach and former director Tetsuya Nomura’s approach is like night and day, and it must be shown for comparison’s sake. At Tokyo Game Show 2014, Square Enix announced Hajime Tabata had taken over direction of the game, and immediately, the differences were obvious in the first trailer of this new era. The flashy CG was replaced by actual gameplay. The tight, constrictive view of the gameplay now took place in an open world. Giant turtle, flashy rocks, battles against the classic Garula Monsters, Final Fantasy. This Tokyo Game Show 2014 trailer was huge because it morphed Final Fantasy XIII Versus from an artiste’s vanity project into a bonafide video game and a bonafide Final Fantasy at that. And thank goodness because it’s the video game you can go play right now! Final Fantasy XV is available now for the PlayStation 4 and Xbox One!